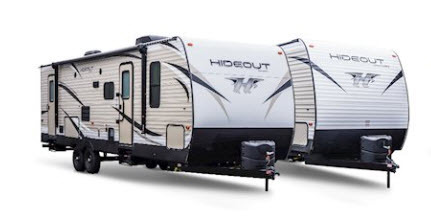 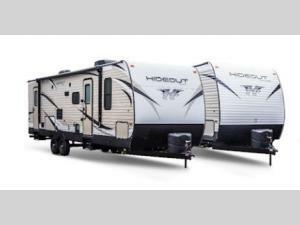 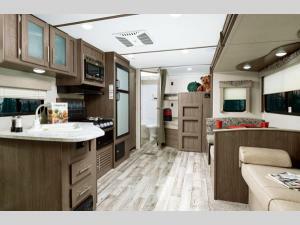 With sleeping for nine, this Keystone Hideout is the perfect travel trailer for a larger family to enjoy. 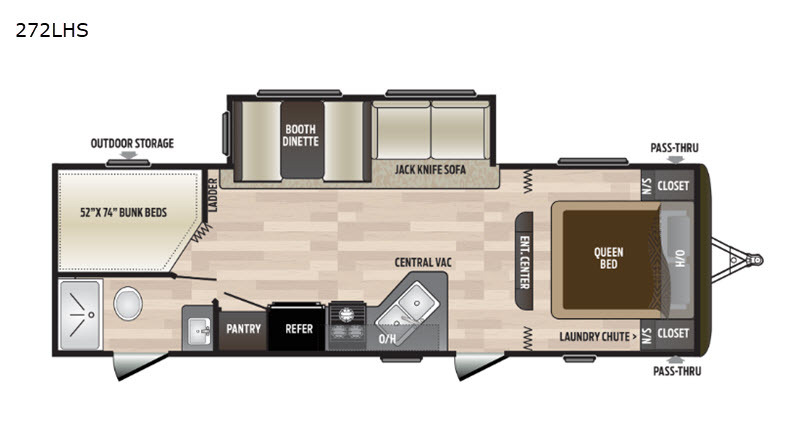 This model offers two entry doors so that you can easily slip out in the early morning and head out on a fishing trip, or you can use the rear entrance door to directly enter the bathroom from outside instead of walking through the entire trailer. 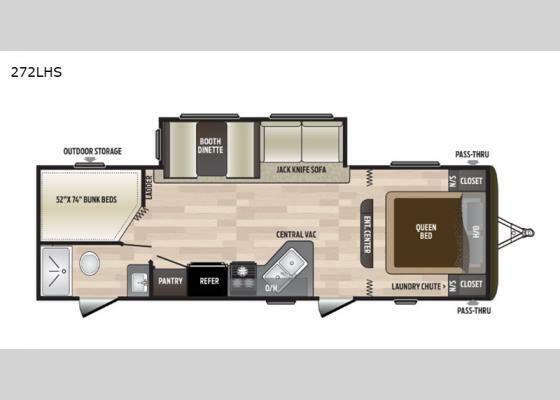 Within the single slide is a booth dinette and a sofa which are both great for lounging during the evening and sleeping at night, and your kids or guests will enjoy the set of double-size bunk beds. 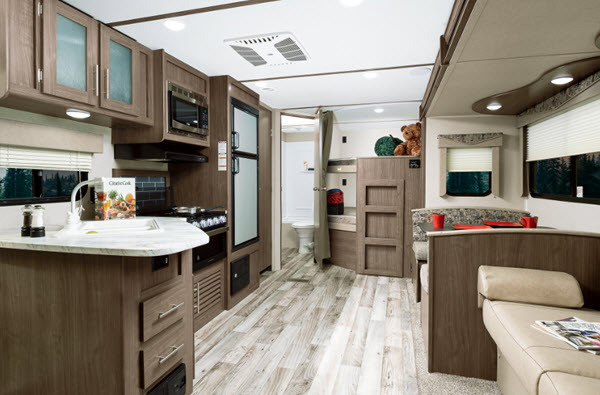 Along either side of the entertainment center are two accordion doors which close off the front bedroom and add just the right amount of privacy.